Welcome to April’s Kre8tors Blog Hop. 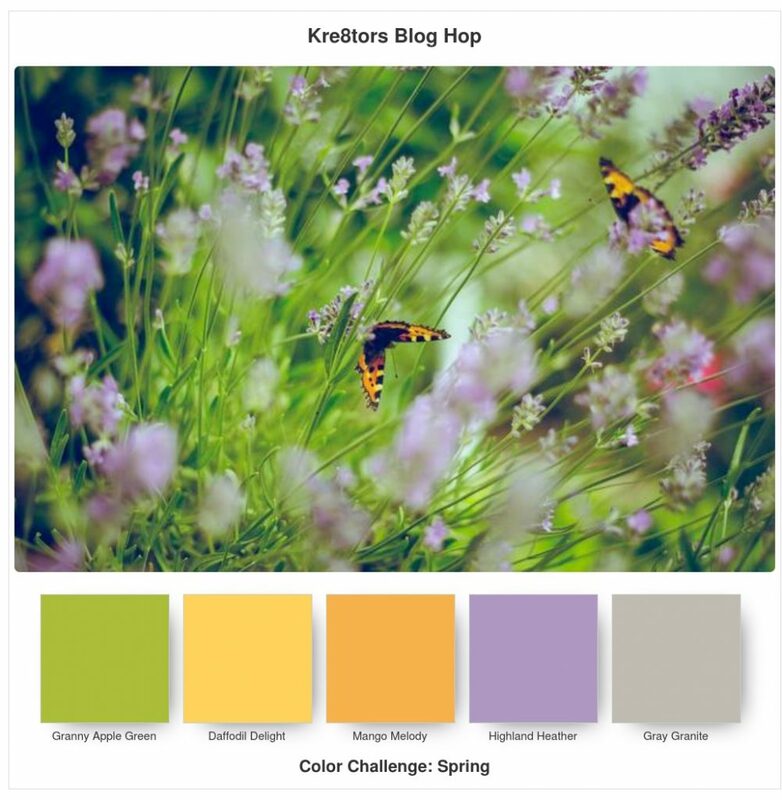 This months theme is Spring with a colour combo twist. We have been given the following image and these lovely colours. For this blog I decided to use a stamp set I was very keen on but decided to use it to challenge me plus I had the lovely mini punches to match. 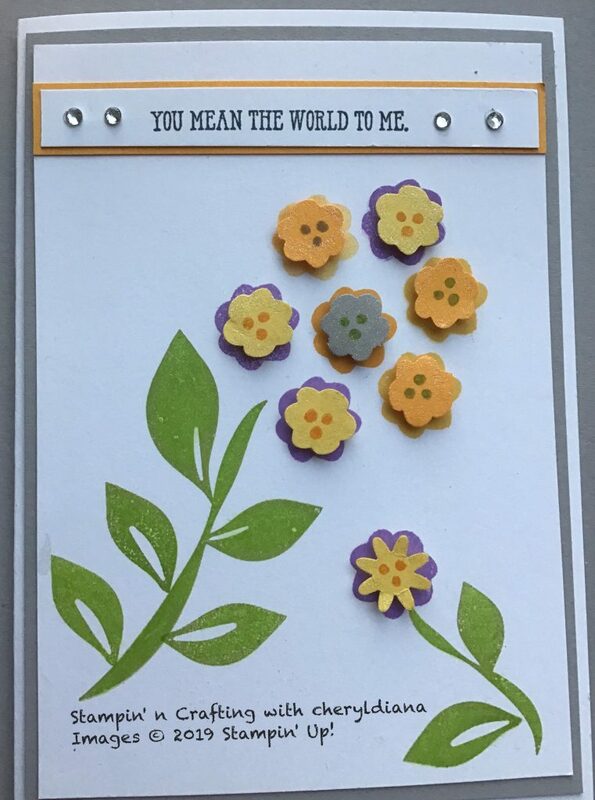 The stamp set is Bloom by Bloom and I decided to produce a card that any beginner could make using minimal products. I love the colours that we could use for this project so decided to use card stock and ink pads to produce the card. I started with a Whisper White card base and added a Grey Granite mat layer. Then using another Whisper White card layer I stamped on the stems and leaves using Granny Apple Green. Next I stamped one of the smaller flowers using, Highland Heather, Mango Melody and Daffodil Delight ink pads. Using the mini punches I punched middles for each flower and stamped the middles using the ink pads. Next I stamped a sentiment from the Well Said stamp set on Whisper White card stock and stuck this onto Mango Melody card stock. To finish off the card I used Wink of Stella on the middle of the flowers and the leaves and a few rhinestones to the sentiment. I hope you like my simple stamping card. Please do leave comments as you hop around. Please click on the next button to see what lovely project Rebecca-Jo has done. Pretty card! I like how the flowers pop up! wow yet simple card. I had to check that set as I didn’t recognise the flowers. very creative. Simple stamping. Great job! I like how you used the punches. Cute card! I have struggled to use these punches. You have used them perfectly! Good idea to make a card, that is achievable for everyone.Nice!